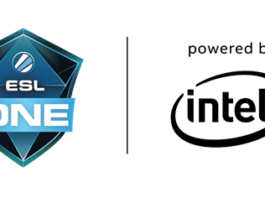 ESL, the world’s largest esports company, and NODWIN Gaming are pleased to announce the debut of ESL One powered by Intel in Mumbai, India on April 19 - 21, 2019. The NSCI Dome will host 12 of the world’s best Dota 2 teams competing for a prize pool of $300,000. Humankind discovered strategy games much later than fire, but also much earlier than electronics. The board game of Chaturanga was developed by an unknown studio during a Golden Age for ancient Indian civilizations around 1500 years ago. It was later imported by the Persians, who established the tradition of ending the game by announcing that the Shah, the most important piece, was dead. “Shāh māt” became “check mate”, which nowadays has been shortened to “ggwp”. It was only a matter of time before the art of tactical gaming came back to the origin in its ultimate form: a Dota tourney in an 8,000-seater stadium on the Mumbai seafront! Prakash Mallya, Managing Director - Sales & Marketing Group at Intel India: “As the technology leader for esports and gaming and ESL's Global Technical Partner, Intel is looking forward to delivering a world-class gaming experience to Dota 2 fans in India and around the world, at the inaugural ESL One Mumbai 2019." -TEAMS: There will be seven direct invitations for the tournament. Online qualifiers will grant one spot each for the following regions: Europe, North America, Greater China and Southeast Asia. Additionally, we’ll hold a local qualifier in India to give the best teams in the country a chance to earn their place among the top Dota 2 rosters in the world as the 12th ESL One Mumbai participant. All details regarding qualifiers will be announced soon. -COSPLAYERS: Bring your finest look and show it off on the main stage for our traditional contest. The winner will be part of the trophy ceremony to crown the inaugural ESL One Mumbai champions. Stay tuned for details. Follow our official Dota 2 accounts on Instagram, Facebook and Twitter to stay up to date with all things ESL One Mumbai.